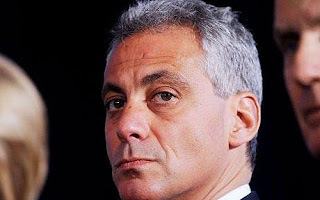 June 20, 2010, The Telegraph UK: Rahm Emanuel expected to quit White House "in six to eight months after growing tired of the "idealism" of Barack Obama's inner circle." "But lately a change in his public manner has become evident." 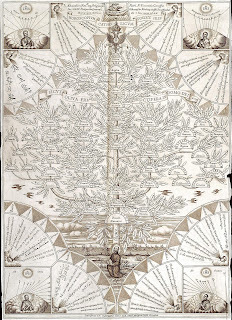 Jesuit horoscope with two-headed eagle on top of the tree (click to enlarge). October 14, 2010, CNN "Belief" blog: The story behind the Chilean miners' Jesus t-shirts (with inverted pentagrams). the massive Orlando, Florida-based evangelical ministry. So you state that President Obama is depressed? How did you come by this information? From a direct source still working within the White House on a daily basis. As I had stated previously, tensions at the White House have reached a critical stage. The infighting among staff is off the charts. More recently, the president has increasingly withdrawn emotionally from the day to day demands of his job – he has become what was described to me as “empty”. ...The present talk about invoking Section 4 has made Obama even more paranoid about his enemies, who he feels range from Biden and the Clintons to the banks and Wall Street. I have a friend who worked at the Pentagon and he tells me America has been taken over. 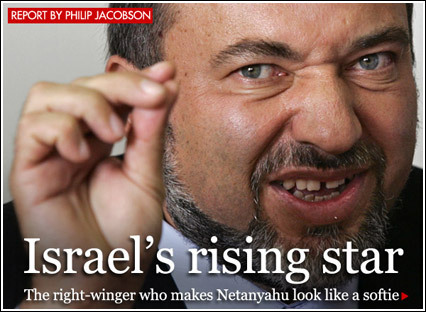 He says the Israelis have operatives at all levels, including even the lowest of positions, answering phones and working as Senate pages. He asked me to examine a few facts for him and so I started doing a little research. I was shocked to see what was uncovered just doing a perfunctory study. From the surface to the murky depths our Government, our media and our society have been inundated with a self-serving power structure of secularized avarice which could prove to be very dangerous for America and for the American people. Look at this research and if you follow it, it continues to uncover layer upon layer, upon layer; every where, in every way, America has been taken over to an extent which is simply amazing! ...Some say Obama is Muslim, but why would a Muslim surround himself with so many Jewish Czars? We now have more czars than imperial Russia. Let’s consider Obama’s czars: Economic Czars – Larry Summers & Paul Volker, Regulatory Czar – Cass Sunstein, Pay Czar – Kenneth Feinberg, Military Jails Czar – Daniel Fried, Car Czars – Steven Rattner and Ron Bloom, Border Czar – Alan Bersin, Health Rationing Czar – Dr. Donald Berwick, Food Czar – Sam Kass, Climate Czar – Todd Stern, Global Warming Czar – Carol Browner, Afghanistan Czar – Richard Holbrooke, Central Region Czar – Dennis Ross, Aids Czar – Jeffrey Crowley, Domestic Violence Czar – Lynn Rosenthal, Anti-semitism Czar – Hannah Rosenthal, Government Performance Czar – Jeffrey Zients, Drug Czar – Gil Kerlikowske, Science Czar – John Holdren, all are Jewish. 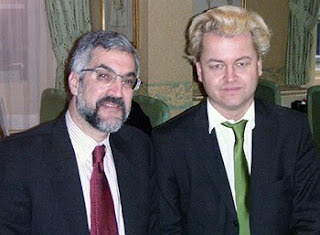 While the trial of Geert Wilders focuses on his "hate speech" little is mentioned of his very real threats to Dutch citizens and their rights under the guise of combating "terrorism." This is a scenario that is playing out worldwide under the globalists and their "War on Terror." But after all, justice isn't the goal of this trial. The goal is, as it was with the CFR funded "Ground Zero Mosque" or the staged 9/11 and 7/7 attacks to begin with, to generate a continuous "clash of civilizations" to chew up and feed the world into the globalists' maw. helping fan the flames of his PNAC's "New Pearl Harbor." October 14, 2010, Alternet: Why is the White House against freezing foreclosures in the face of rampant fraud? Geithner’s logic follows the typical blame-the-little-guy-for-taking-on-too-much-debt-to-buy-a-house-he-couldn’t-afford pattern, coupled with old-style fear-mongering: if you wait and analyze what’s really going on, it might be bad for the housing recovery. And, what housing recovery is that? The one in which 25-30 percent of homes being sold are REOs (bank owned real-estate, a.k.a. foreclosed properties). On a trading floor, that’d be considered "churning," not new value. The free-market, let the banks do what they do mentality was what allowed them to create a $14 trillion mountain of securities backed by precarious mortgages to begin with. Don’t look at what they’re doing, that might hurt the boom. Don’t ask them for anything in return for bailouts -- that might clog the system. Don’t stop them from churning foreclosed properties -- that might stop the recovery. i don't know, that's a good point. it's time to re-read that last report methinks. Jesus woman you really know how to set homework (grin). I’m very leery about the WMP source articles – trust a tainted Mick (think Trimble) to be mixed up in it. The only ones that sound good in that fairy tale is Rahm and Pelosi. Remember those photos - like a love tryst on the lower levels of Dante’s circles of hell. 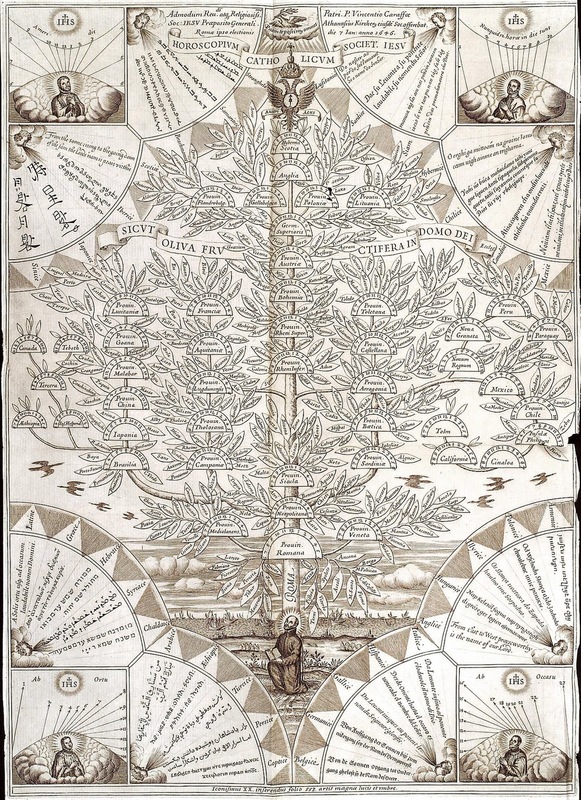 Check out the story’s structure and the numbers 33, 13, 100 and 11. Listening to the beat and ignoring the chorus I get the feeling that everyone is covering their arse for the approaching unnatural selection. No matter how they rig the votes they’re toast. What they are touting is a coup-de-etat. They rattled the skeleton of Kennedy’s fate early in Y’obama’s term and now they rattle a new skeleton. Now they raise the 1933 coup attempt against FDR. Not that Yo’mama can be compared to FDR but that is not the point. Mental incompetence – how perfect and impossible to prove or disprove. How many shyster shrinks could they not produce. Pop “I’m a Zionist” Biden in the hot seat with Hillary to keep him focussed and we’re on a fast rollercoaster to painville. I found this after a quick search for background. Who would they cast as General Smedley Butler’s character this time and more importantly would they have the moral fortitude to tell them to shove it. Is this all pressure to go hot on the Iran War? When I got past the voyeuristic gossip angle I thought, sweet Jesus these people are insane. Install a phoney president and then remove him for reasons of insanity! It may be a comedy but the Divine has got bugger all to do with it. Buckle up it’s going to get real - soon. ha, sorry Chuck, :D, and i know what you mean about Madsen. there's no such thing as ex-intelligence, BUT, you gotta figure that a good chunk of what they say is accurate. Butler was horrified....However, he disclosed nothing of his feelings. With masterful composure he pretended interest and waited to hear more. i do not know who that might be dear Chuck. Excellent, like all your other posts. thanks Aan. back at you.